Democratic Governor Gretchen Whitmer’s first month in office was marked as a period of immense unity amongst Democratic leaders in Michigan’s executive branch. While Republicans retain control of the legislature, Governor Whitmer, along with Attorney General (AG) Dana Nessel and Secretary of State (SOS) Jocelyn Benson, managed to push through liberal policies from several different directions. In a marked difference from the deep ideological divisions between former Republican Governor Rick Snyder and AG Bill Schutte, the self-proclaimed sisterhood of Democratic leaders remain in lockstep with one another. In her Bridge article "Michigan Democratic leaders Whitmer, Nessel and Benson working in concert," from January 31, 2019, Riley Beggin explores how AG Nessel and SOS Benson have coordinated to oppose a lame-duck bill from the last session of the Michigan Congress in 2018 while preserving Governor Whitmer’s political capital so she may advance her progressive campaign promises. Professor emeritus John Chamberlin, however, holds that such cohesiveness among Democrats in the executive branch may foster a partisan divide with the Republican legislature. As the Democratic trio work to confound recent GOP policy, Chamberlin warns that GOP leaders “could say ‘two can play at this game’ and stall anything that happens.” In fact, united GOP legislative leaders have created a rule that requires proposed legislation to pass through two committees prior to going to general debate. Should Chamberlin’s concern prove to be true, Michigan's executive branch may soon be locked in a partisan showdown with the GOP-controlled Congress. 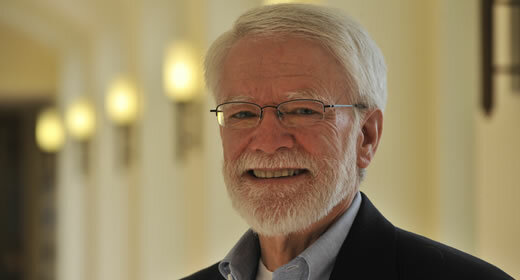 John R. Chamberlin is a professor emeritus of political science and public policy. Professor Chamberlain was also the director of the Ford School’s BA in Public Policy program from 2007-2011, as well as the director of U-M’s Center for Ethics in Public Life from 2008-2011. Professor Chamberlain is also affiliated with the Association for Public Policy and the Management Association for Practical and Professional Ethics.